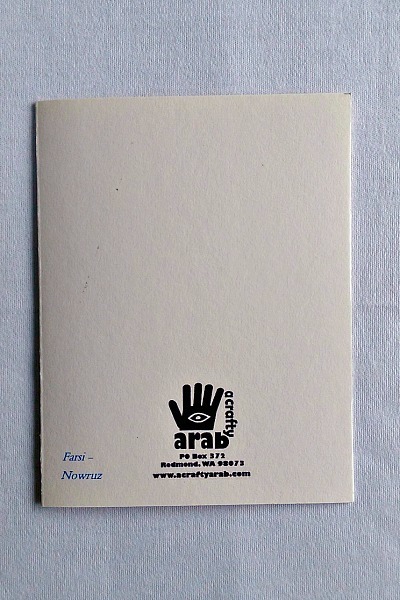 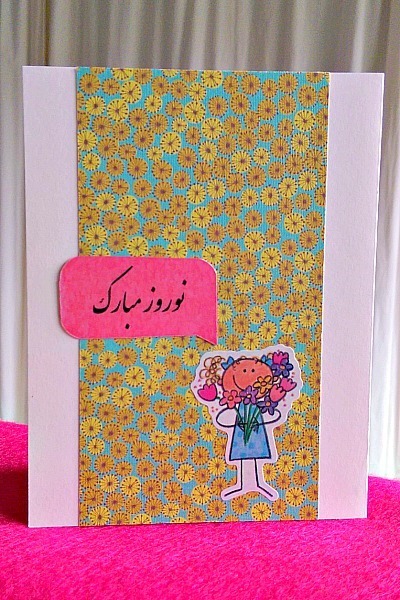 Why not wish your special person a Nowrūz Mubarak (Sunday, March 20, 2016) in an unusual way with this original design Farsi handmade greeting card? 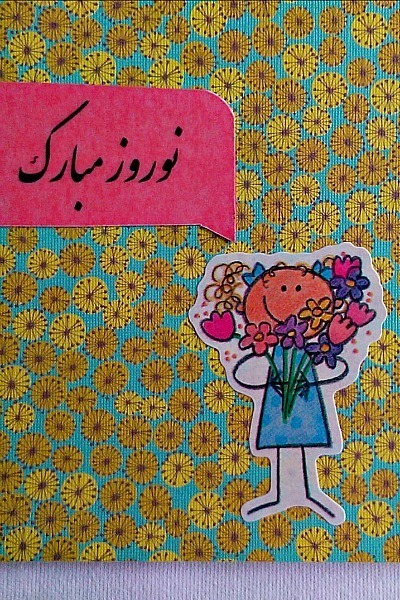 Norooz, or Nowruz, is Iranian New Years, an official holiday lasting for 13 days during which most national functions including schools are off and festivities take place. 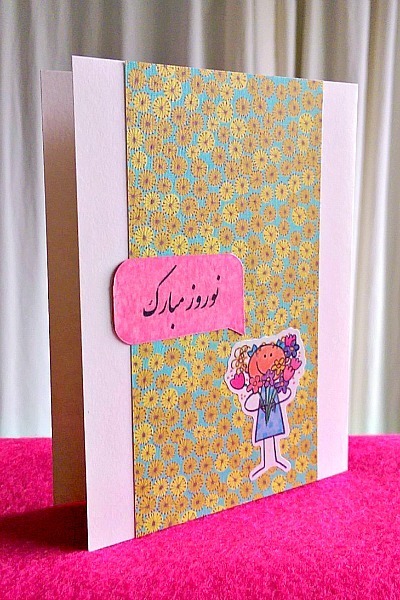 This little girl is presenting flowers to your special person and wishing them a Nowrūz Mubarak.